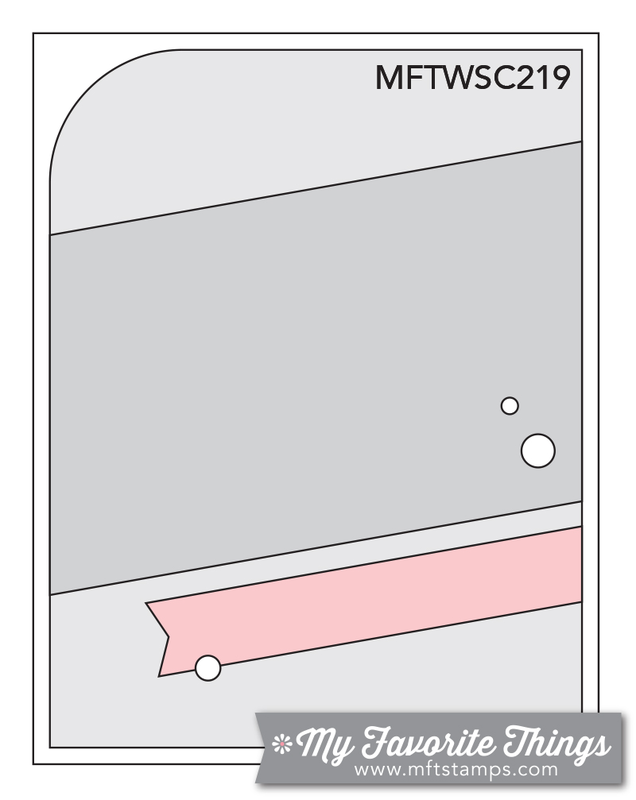 MFT Card Challenges: My Favorite Things meets PageMaps - One More Bonus Sketch Opportunity! My Favorite Things meets PageMaps - One More Bonus Sketch Opportunity! Welcome to another fun Monday edition live from the MFT Challenge & Inspiration Blog! Today we have one more bonus sketch in conjunction with PageMaps. 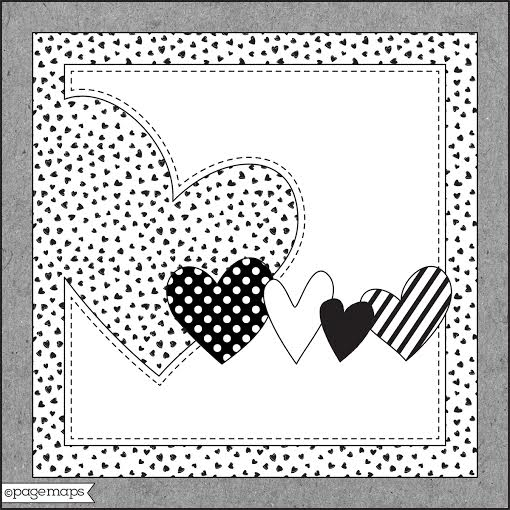 Since 2006, PageMaps has been providing sketches for scrapbookers and card makers alike. As you know, a sketch can be just the kickstart you need to feel inspired and creative. Below you'll find the May PageMaps sketch created exclusively for the MFT Challenge & Inspiration blog. Create cards, scrapbook layouts, home decor, treat containers, mixed media, etc. using this week's sketch and be sure to link your project below for a chance at the weekly My Favorite Things Gift Voucher worth up to $20. We invited members of the Challenge Team and the My Favorite Things Design Team to interpret the PageMaps CardMap . Let's see what they saw when they looked at the sketch. 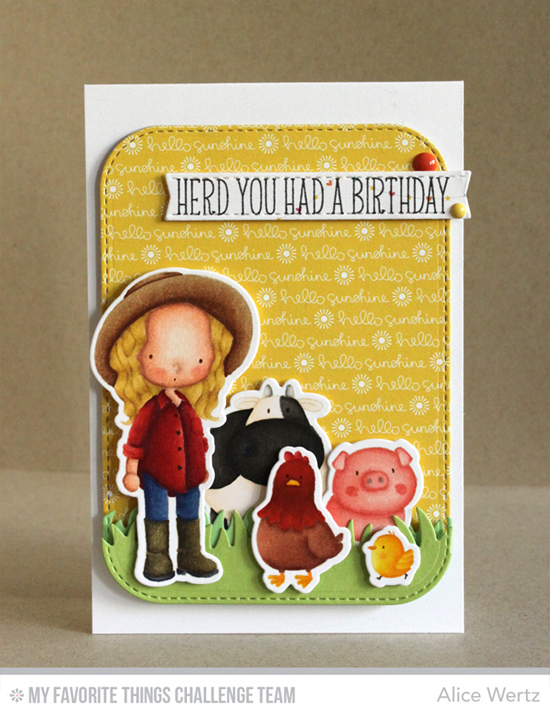 Challenge Team member Alice Wertz has a stitched frame, and in place of the five hearts, she features five cutie pie creatures from two brand new Birdie Brown stamp sets — The Whole Herd and Green Pastures. Design Team member Donna Mikasa elongated the square sketch and turned the hearts into circles for this impactful design. The black stars from Blueprints 25 are the perfect finishing touch! Challenge Team member Erin Lee Schreiner takes us back to the 80s with this colorful and rather direct take on the sketch. This card makes me want to lace up my roller skates and zoom in a large oval to the sounds of Prince and REO Speedwagon. Creative Team member Jill Dewey Hawkins proves that our Donuts Die-namics have legs! Inlay some colorful card stock, and these donuts become totally rad circles. Jill incorporates the five shapes in paying homage to the sketch. Design Team member Julia Stainton keeps her card square like the sketch, but the five hearts become a beautiful bouquet using the Rolled Rose Die-namics. And can we just talk about all of that glorious stitching? Wowsers. Challenge Team member Miriam Prantner has a passion for stars, so it's no surprise that she bedecked her horizontal card with an array of colorful stars. Her Steel Grey background truly lets the stars shine. <-- See what I did there? Congratulations, Stasia! You are the randomly selected winner of last month’s PageMaps sketch challenge. You can view all the entries for last month’s challenge HERE. You have until Sunday, June 14, at noon EDT to add your link and be eligible for the prize of up to $20 in MFT Cash to be spent in the MFT boutique. Winners are chosen at random, so everyone has a chance! The prize is a $15 Gift Voucher to My Favorite Things, but if you use MFT stamps and/or dies in your project, you’ll receive an extra $5. Thank you, PageMaps for sharing another sketch with us!